Millions of Canadian households have ditched landline phones, and now political staff in Doug Ford's government are doing it too. The office of Ontario Finance Minister Vic Fedeli is the first to hang up on landlines. His staff have pulled the plug on 24 phones and their fax line, leaving just two staff with desk phones: a receptionist and a scheduler. Will Doug Ford scrap taxpayer subsidy to political parties? The few faxes that they receive are advertisements, typically from companies pitching window replacements. "I didn't even know we had a landline," said Fedeli in an interview with CBC News on Wednesday. "I've never used it, other than I think we did one conference call with a fellow finance minister out west." His staff will instead use cell phones exclusively, with a landline in the boardroom for conference calls. "We all have email, we all have texting. It's a much more efficient way to get a hold of us," he said. The cord-cutting applies to political staff in Fedeli's ministerial office, not to public servants in the Ministry of Finance. Ford campaigned on a pledge to find $6 billion in unspecified "efficiencies" across government. He says his government will cut costs without any public sector workers losing their jobs. 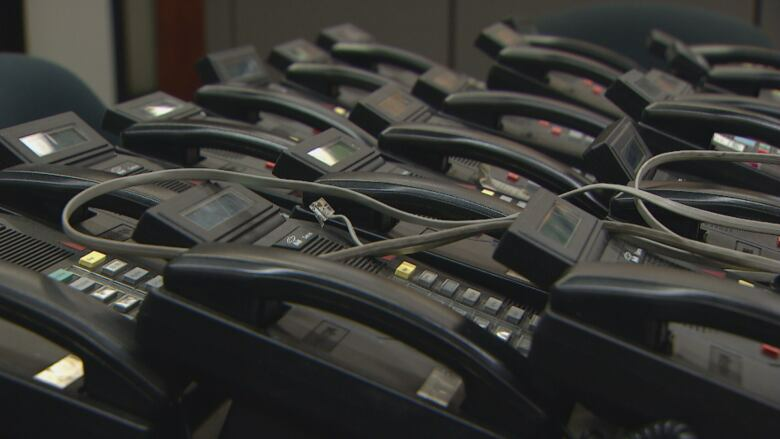 Scrapping the landlines is part of the drive for efficiencies, said Fedeli. He offered precise figures for the annual cost savings to his ministerial office: $10,857.40 for the landlines, $724.80 for the fax. Cancelling newspaper subscriptions and coffee service pushed the total to about $14,000. For comparison`s sake, the budget deficit that Fedeli is facing is $15 billion. He would have to cancel the landlines, coffee and newspapers in one million such offices to balance the budget this way. "We have to start somewhere and I think this sets the tone, said Fedeli. "We're leading by example." Other ministerial offices are considering ditching their landlines as well. Fedeli says he cancelled the landline at his home in North Bay a couple of years ago. "It saved me $62.10 a month. That's 750 bucks a year."